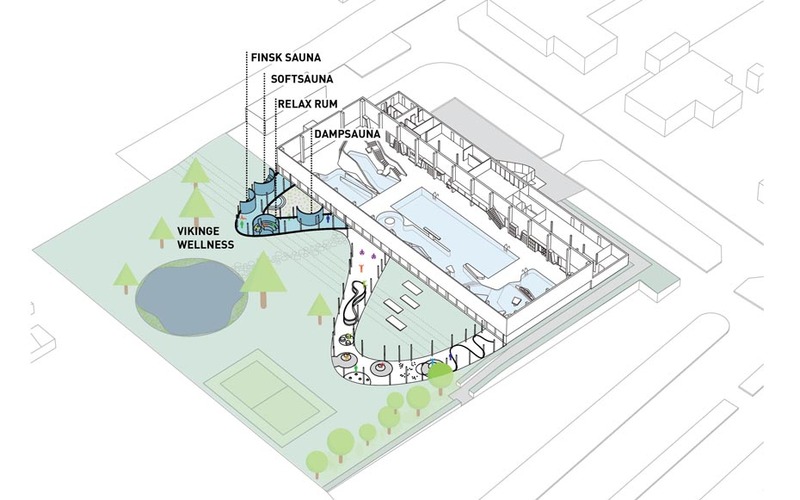 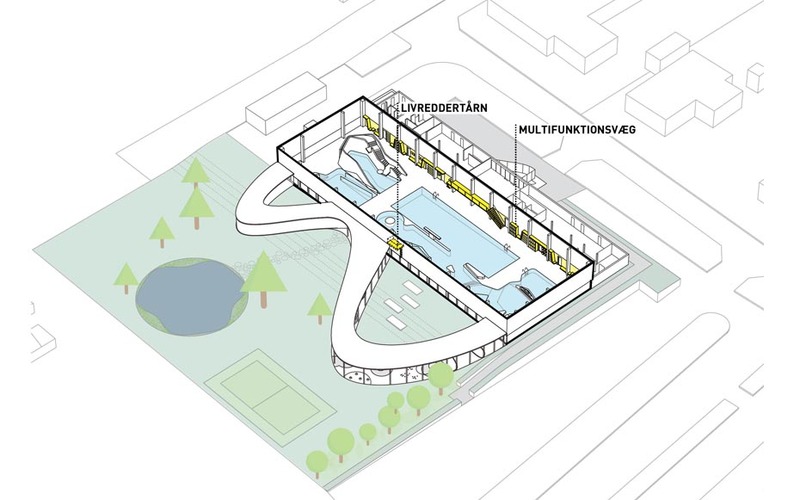 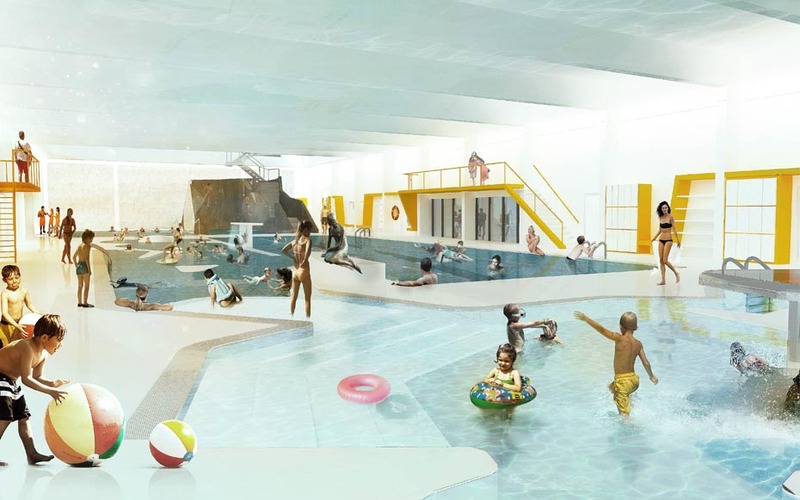 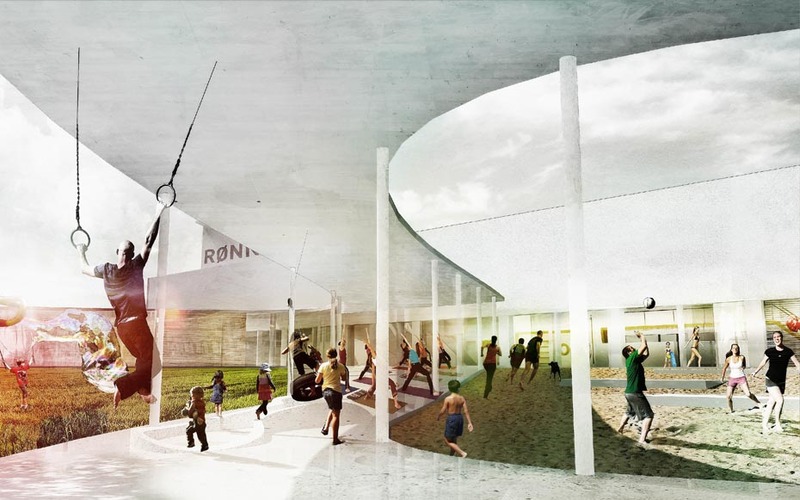 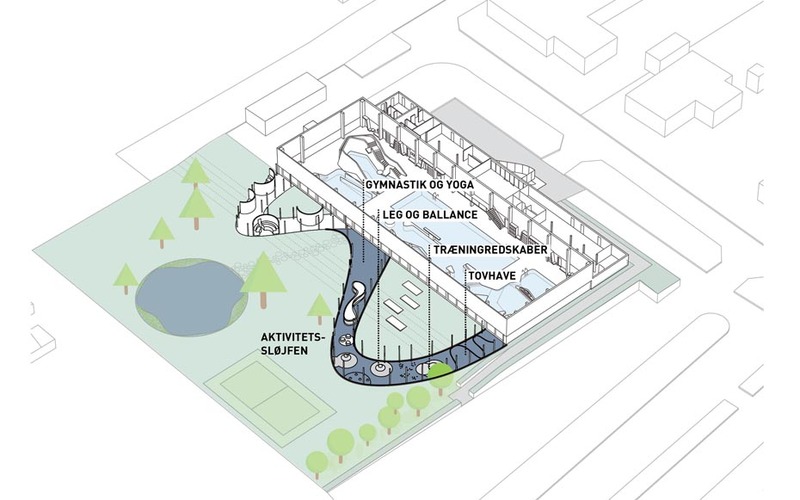 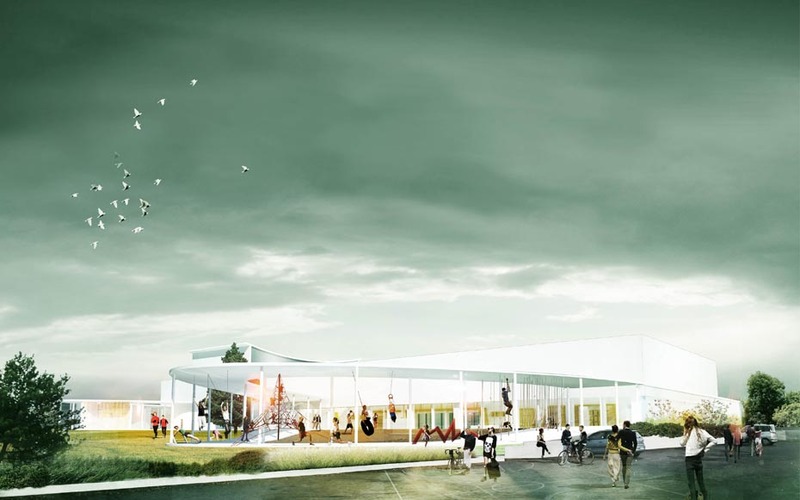 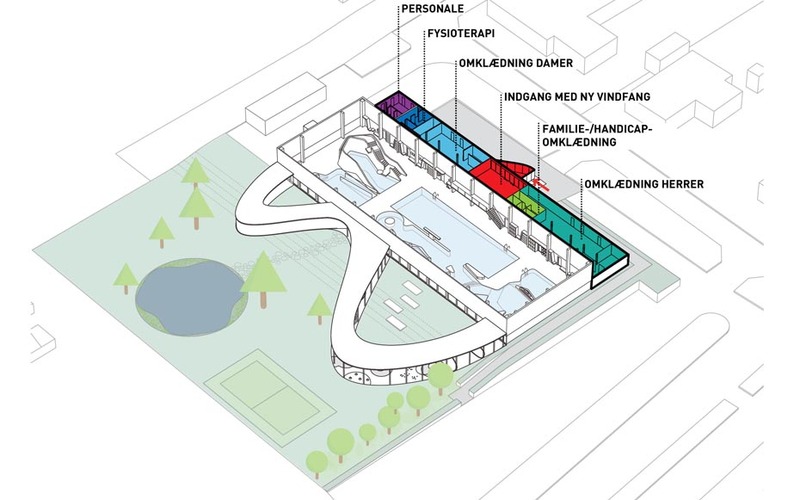 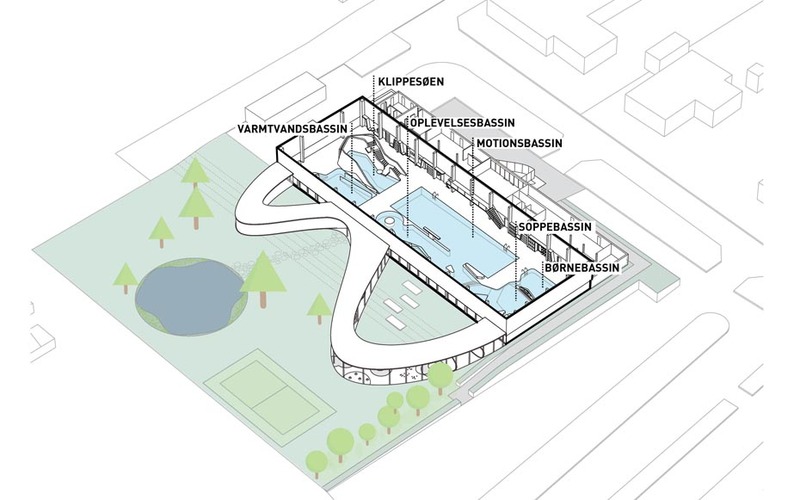 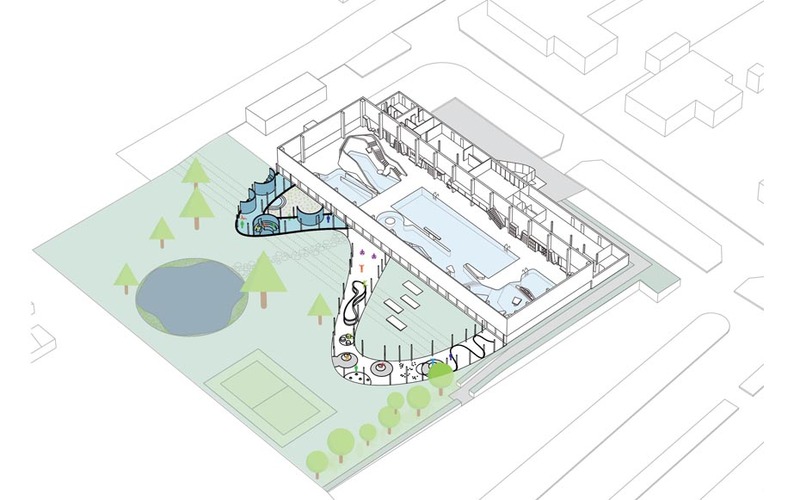 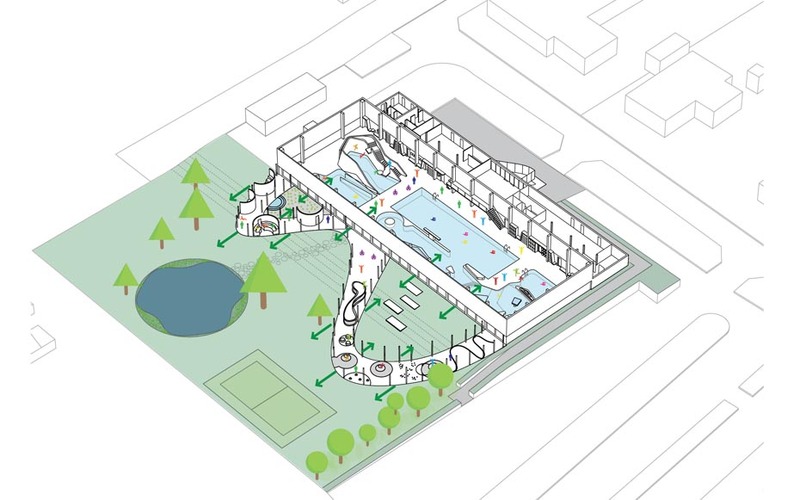 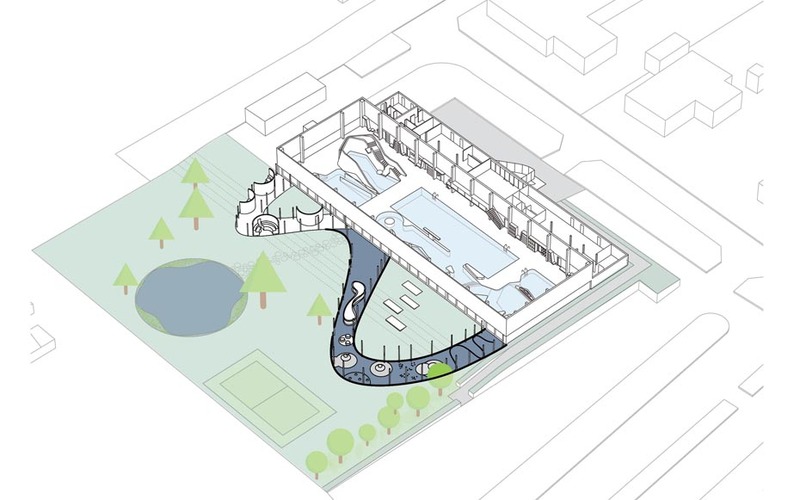 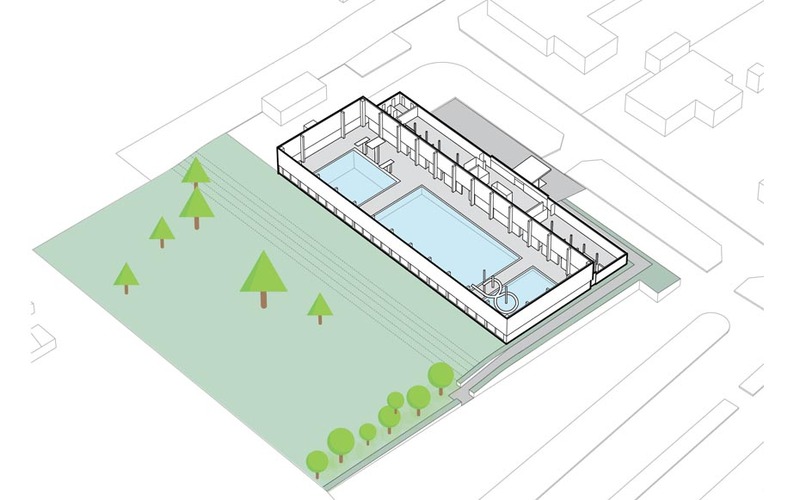 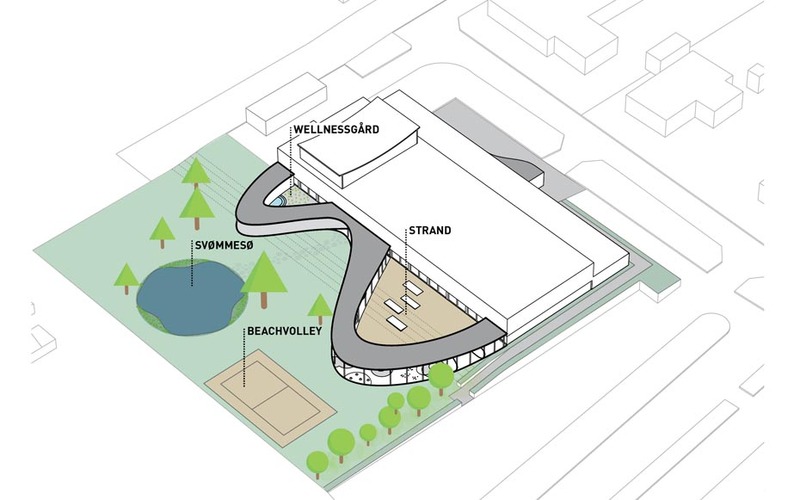 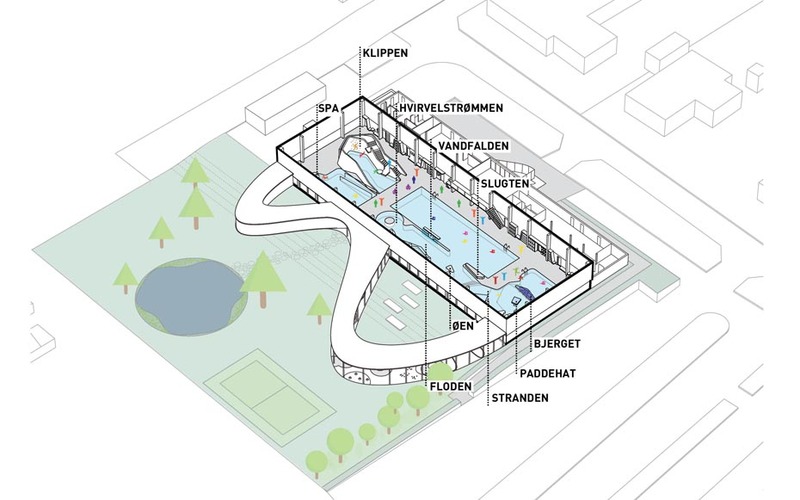 The renovation of the existing swimming pool to an active “water-scape”, the extension with a wellness area and the coupling of an active green outdoor spaces with the inside activities. 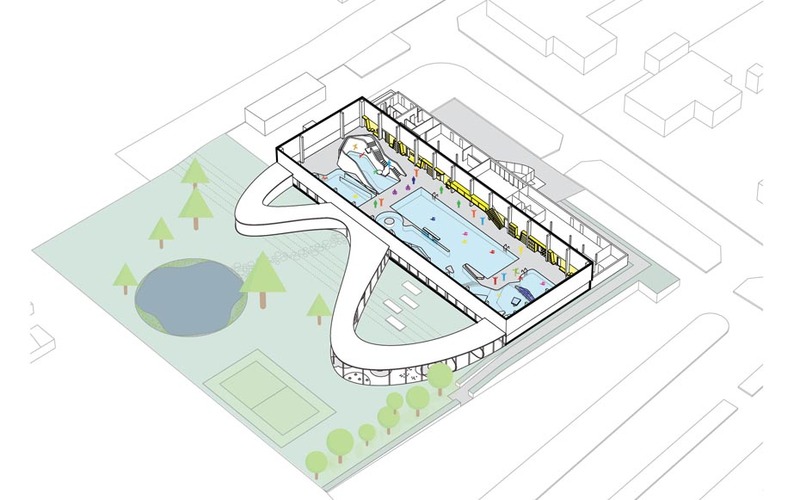 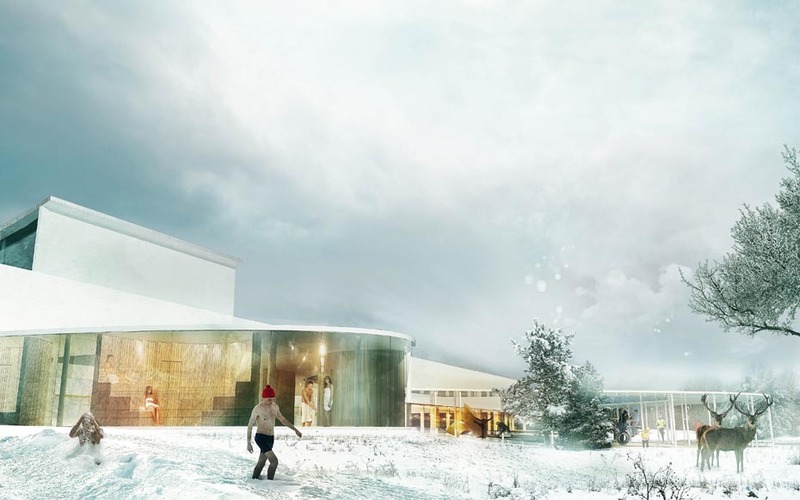 We closely integrated the indoor and outdoor areas – both spatially and functionally – so the wide scope of outdoor sports, relaxation and play are tied together with the functions within the building. 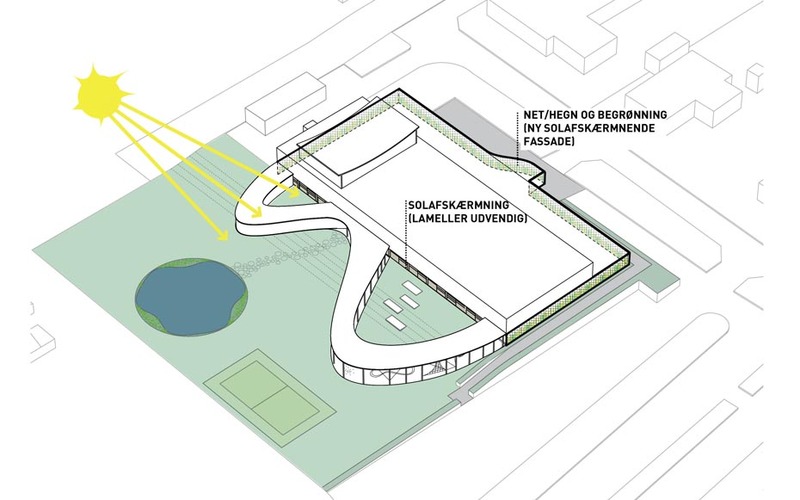 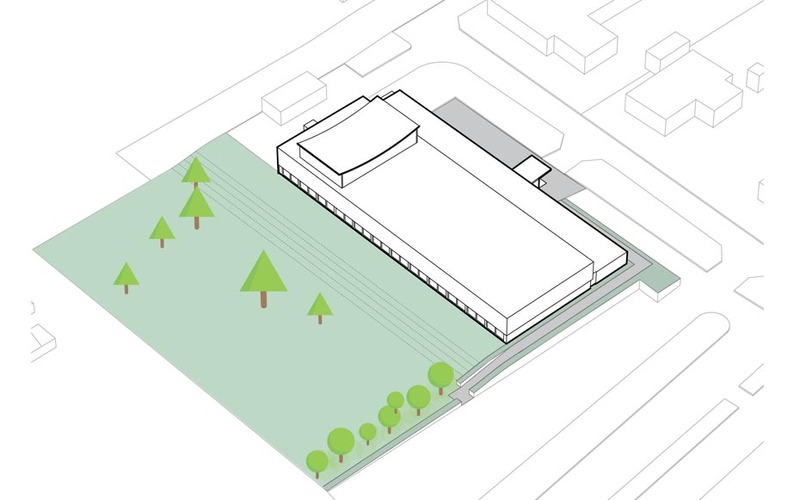 A new green facade creates a welcoming interaction with the site and the context.